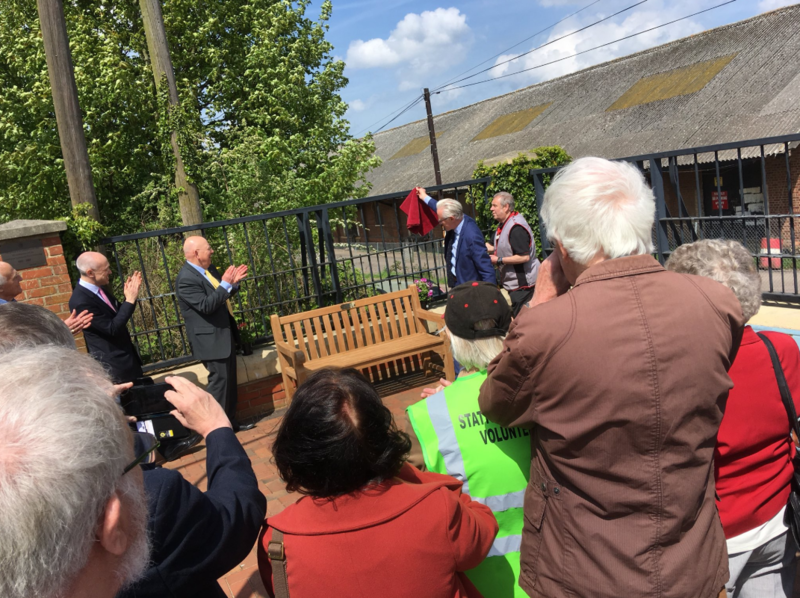 Friends of the Bittern Line Community Rail Partnership (CRP) gathered on Friday 11th May 2018 at North Walsham Station, where a memorial bench and plaque were unveiled to mark the work of Ted Gadsden, who passed away last year. Ted Gadsden was heavily involved in the work of the Bittern Line CRP. 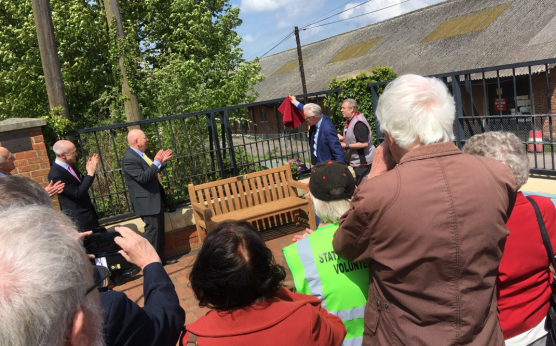 “Ted was a well-known and much-loved figure in the town and was an enthusiastic and strong advocate for rail travel and for community rail”, said current chairman Peter Mayne. 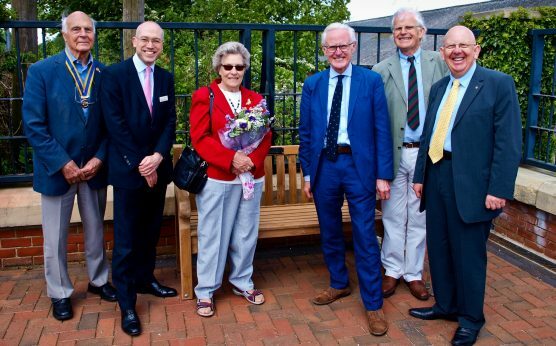 Purchased with support from the Rotary Club of North Walsham, the Association of Community Rail Partnerships (ACoRP), and the Bittern Line CRP, the bench was unveiled by North Norfolk MP Norman Lamb. 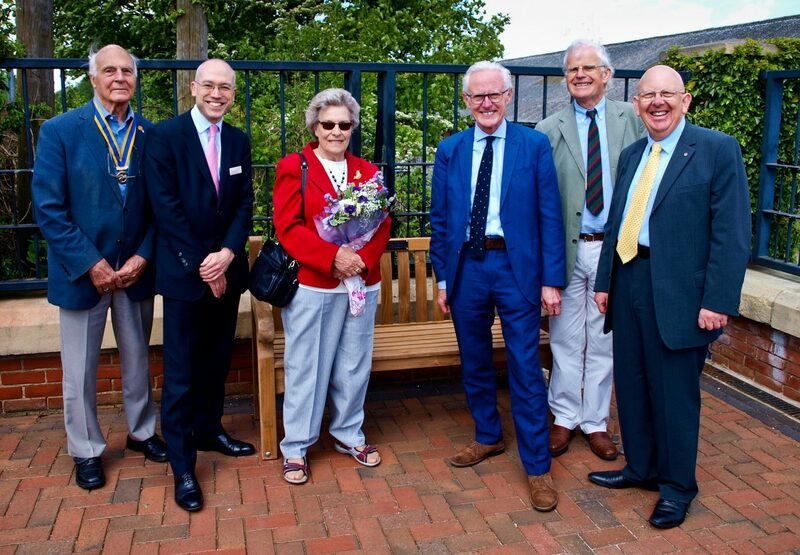 North Norfolk MP Norman Lamb said “It was a pleasure and a privilege to unveil the plaque on the bench in memory of Ted Gadsden. He was a wonderful man who chaired the Bittern Line Community Rail Partnership for nine years. The Partnership has done brilliant work in helping to make this line a big success story. Numbers of users keep rising and with new trains on the way, its future looks really positive”. 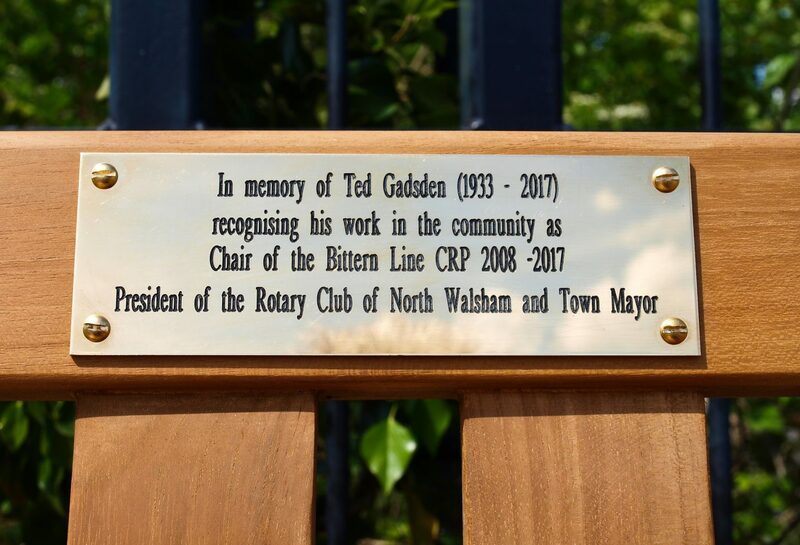 Peter Mayne, Chair of the Bittern Line CRP, said “It is wholly fitting to remember the work of Ted Gadsden in this way. I feel sure Ted would have approved of this as it provides something which is useful to passengers”. 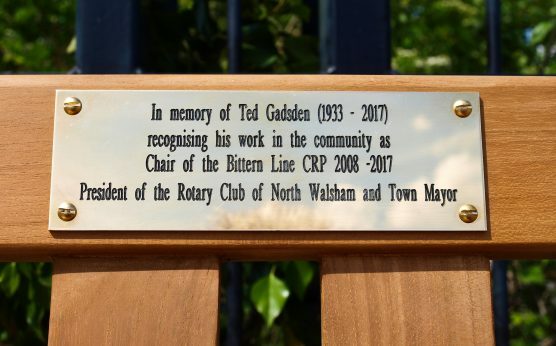 Paul Ryall, the President of the Rotary Club of North Walsham, said “Ted was not only a great worker for the Bittern Line and North Walsham Town Council, but also a stalwart member of North Walsham Rotary Club [1999-2017], always urging us to travel by train to Rotary District events. He served two terms as club president and was a very active Rotarian. Ted is sorely missed, and we have embraced this project enthusiastically as a useful and visible marker to remember him”. Paul Webster, Operations Manager of ACoRP, said “Ted was a true gentleman and ambassador for sustainable travel and the community rail movement not just in Norfolk, but across the whole railway network. He not only encouraged and supported local station adoption groups, but also contributed ideas which have enriched the work of other community rail partnerships and grown the reach of ACoRP too”.